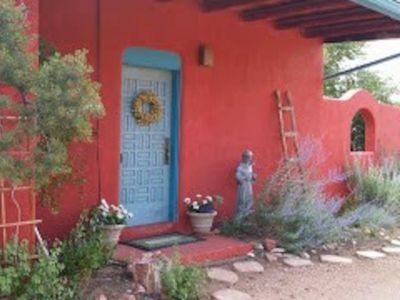 Hacienda Rose is an historic home located on the Eastside just two blocks from Canyon Road. 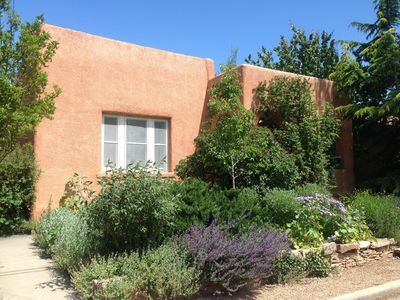 You will be renting the four bedroom/two bath main house and a one bedroom/one bath casita making this a five bedroom property. 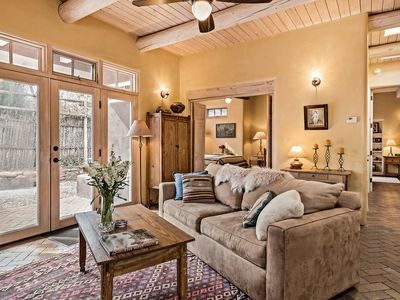 The ambiance from the moment you enter the home will transport you to another time. 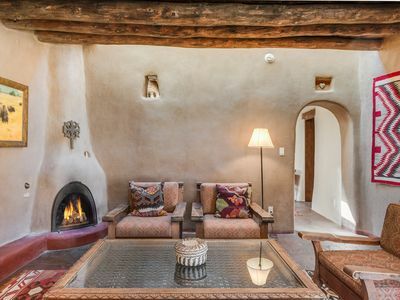 The viga ceilings, unpainted adobe walls and stone floors add to the authenticity of this property. 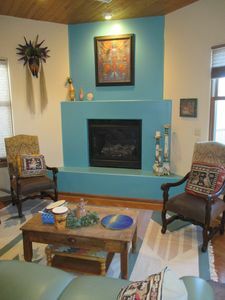 Off of the living room is the den equipped with flat-screen TV and additional seating. 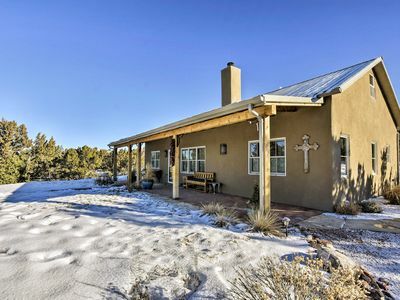 The remaining 3 bedrooms and second bath are located off the den. 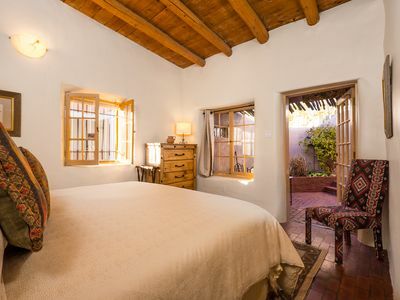 The guest house is a few steps away from the main house and is private with a King bed, full bath, and a separate kitchen and yard. 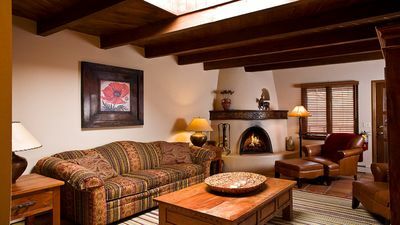 Your family and friends are sure to enjoy the spacious living areas that include a formal sitting area around a kiva fireplace, dining table with seating for eight, and a separate den equipped with flat-screen TV. 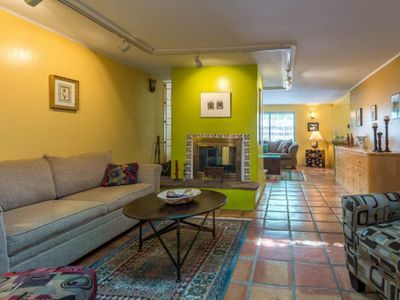 In addition, there is a newly added patio with outdoor seating and a backyard to enjoy. 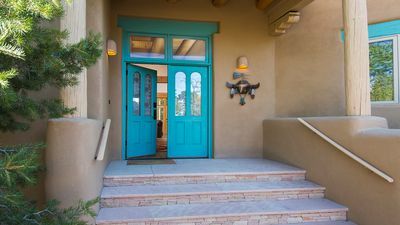 Comfortably sleep up to 10 guests in three queen beds and two king beds, one of those king beds being in the private and separate guest house next door; each bedroom lovingly appointed and decorated in Santa FE STYLE flair. 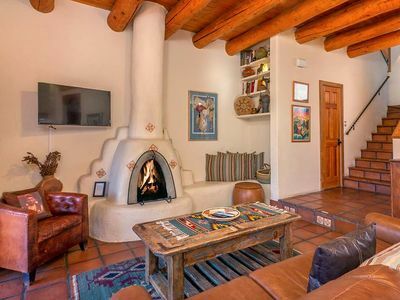 The large, guest bath has been recently renovated to feature a double-headed walk-in shower but keeps the rustic charm of the home with Mexican tile and a claw foot tub. 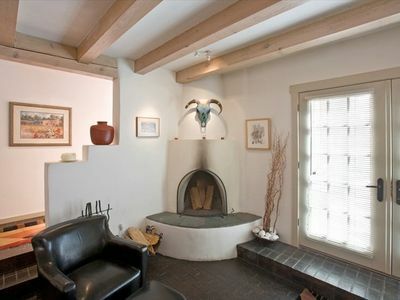 The en suite second bath also displays Mexican tile work as well as an arched entry. 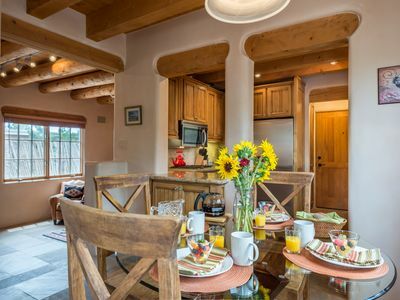 Two Casitas is confident that Hacienda Rose will become a part of your fond memories of Santa Fe. 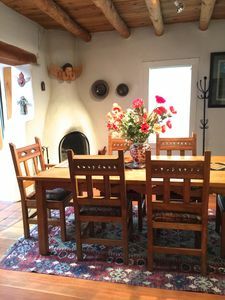 Stylish Mountain Retreat with Pool--Close to Santa Fe, Opera, Adventure! 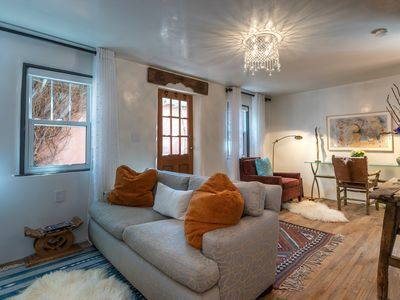 Groups-Best downtown location! 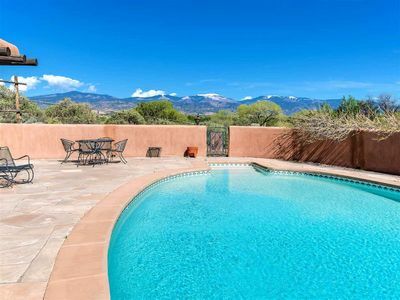 Big historic home-Huge Hot Tub-Families,Reunions! 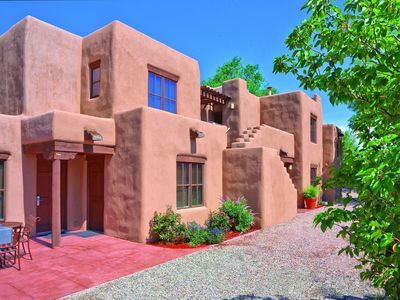 Two gorgeous FIVE STAR family homes in the Historic District near everything! 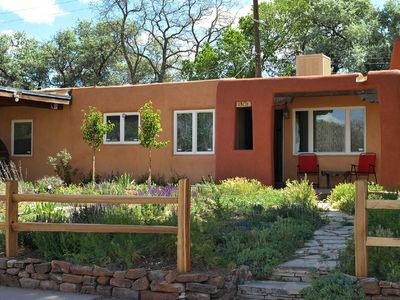 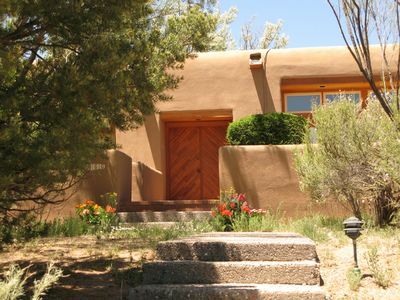 Hidden Santa Fe Gem - Nestled in Tesuque Hills! 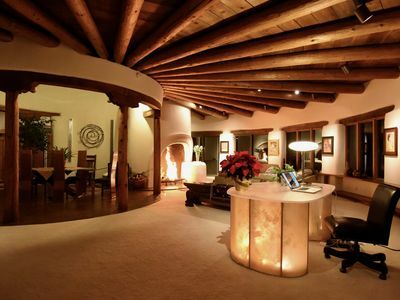 Epic Museum of Indian Arts & Culture! 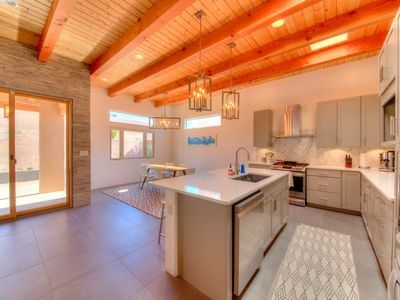 Fully remodeled two bedroom, two bathroom casita!